Islamic Calendar 2014 or Muslim calendar 2014 is followed by people following Islam religion. Muslims have this calendar based on the lunar dates. It’s unlike the Gregorian calendar. As per Islamic Calendar, the first month is ‘Muharram’. Islamic New Year starts with this month. 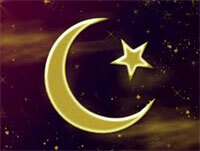 The years in Islamic calendar are called as Hijri. Hijri in Islamic calendar is always different from years in Gregorian calendar. New Year 2014 will be 1435 Hijri as per Islamic calendar 2014. Islamic festivals are celebrated by Muslims worldwide. Start of a new month is based on the sighting of the Moon; however it is quite uncertain that moon will be sighted on 29th or 30th day of the islamic month. As per Islamic Calendar 2014 or 1435 Hijri, a new year for Muslims has already started from 6th November 2013. The festivals or the dates of months usually shifts back for approx 10 days every year. All this is due to lunar dates as they keep on changing the duration of months. Muslims will follow Islamic Calendar 2014 and celebrate festivals according to the sighting of Moon. Muharram is the first month of Islamic calendar; however it is followed by two Muslim communities in their own way. We are providing the dates of Islamic Calendar for the year 2014. Some dates of festivals may change as they are based on sighting of moon. Scroll down for the detailed 2014 Islamic Calendar. Sunni Muslims and Shia Muslims are two Muslim communities. Some of the festival dates differ between these two communities in Islamic Calendar 2014; however most of them lie on the same date. They have their own ways of commencing a new year. Birthday of Prophet Muhammad is called as Milad-Un-Nabi. It is celebrated in the month of Rabi-Ul-Awwal, third month as per Islamic calendar. Sunni & Shia communities celebrate it with a difference of 5 days. Shia’s celebrations are 5 days after Sunni’s celebrate it. According to Islamic Calendar, ‘Ramadan’ is the 9th month and considered sacred according to Muslims. They keep fast for the whole month of Ramadan for 29 or 30 days. Then, the moon is sighted and next month starts named as Eid-Ul-Fitr. This day is celebrated as Eid by Muslim community. It is also believed that Quran was first revealed in this month to prophet Muhammad by Allah. The Night when Quran was revealed is called Lailat al Qadr. Even though they have their different ways of celebrating festivals or following rituals. But, one thing is common and that is, their belief in ‘Allah’. We hope this Islamic Calendar for 2014 would prove to be helpful for you.